That’s multi-point nights from Howden, Andersson, Stukel and Lindqvist, plus a pair of powerplay goals. Looks like these Baby Rangers have the same defending issue the adult Rangers have too. Hopefully they clamp down in the next games. Andersson, Ryan Lindgren, and Gabriel Fontaine wore the ‘A’s. "Baby Rangers allow four in third, fall to Baby Stars", 5 out of 5 based on 3 ratings. They ran out of gas after 40 minutes as they started spending longer & longer shifts in their own end. Thought so too. From what I saw, I *felt* like they had the edge in skill and skating (with a few lapses when that 4th line was on the ice — and few mistakes from the D) in the first two periods by a good margin. But maybe that is just what I wanted to see. Dallas has a big team and played a pretty heavy game. Rangers were the ones with the spurts of speed. Dallas was winning races all night long. Chytil wasn’t protecting the middle of the ice. He didn’t show good show good support for his D on this play in the DZ. That related to him getting burned for a goal against. I didn’t watch the game. Were they bad defensively or was the goaltending not that good? they were the better team in the 2nd period. We were weak in goal and there were some bad giveaways. Where’s the hard hitting deep analysis of this game? We need to know the FO%, hair color’s and most importantly how this means that Kevin Hayes will sign a life-time contract with the Rangers. Could we pleeeeeezzze call them something other than the “baby Rangers”? Pittsburgh’s been doing that for years with their AHL team. Makes me wanna puke. Could we calm them the pre pubescent Rangers? Somehow both worse and waaaayyyy creepier at the same time. Didn’t watch the game but it’s good to see that the Rangers young guns can generate offense. 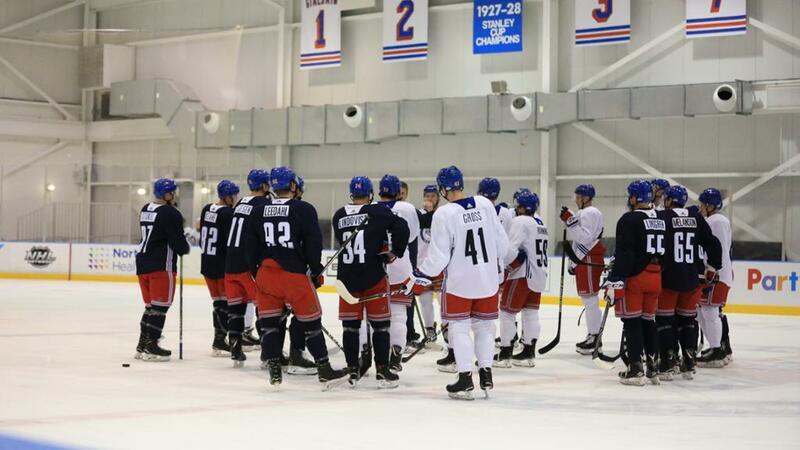 Defense is a concern though out the organization, coaching that emphasizes team defense will be a must if the Rangers want to become competitive again.